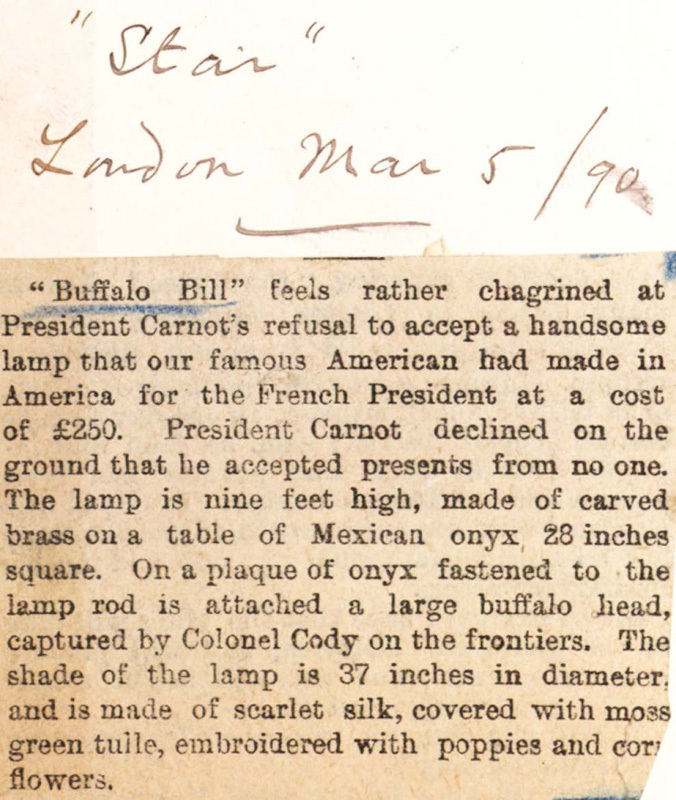 "Buffalo Bill" feels rather chagrined at President Carnot's refusal to accept a handsome lamp that our famous American had made in America for the French President at a cost of £250. President Carnot declined on the ground that he accepted presents from no one. The lamp is nine feet hight, made of carved brass on a table of Mexican onyx, 28 inches square. 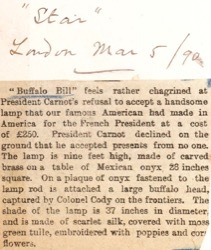 On a plaque of onyx fastened to the lamp rod is attached a large buffalo head, captured by Colonel Cody on the frontiers. The shade of the lamp is 37 inches in diameter, and is made of scarlet silk, covered with moss green tulle, embroidered with poppies and corn flowers.